It seems that a big goal for every soul proprietor I know is to have a clean and empty inbox. It’s something I strive for everyday. Some days I succeed, many more days I don’t but I keep trying. 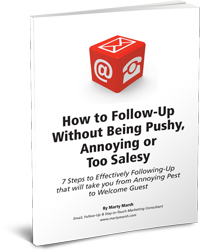 You’ve probably heard the productivity experts all say that you should check email just a few times a day at set times each day and to turn off all alerts so you aren’t tempted to look every time an email comes in. And that is very good advice. Depending on what I’m doing I try to deal with email just three times a day at the same times each day. Some days, however, if I’m working on a project with a client that requires lots of back and forth via email, I check it more often. And it is usually on these days that I end the day with a still-full inbox. But on a good day, I can keep up with whatever is coming in, and I get a LOT of email. You probably do, too. The secret to having a clean inbox is to PROCESS email and not just check it. If you just pop in to your inbox to “check” email, you’ll likely see a couple of things that you want to respond to or pay attention to, and because you’re busy doing other things and probably shouldn’t be looking at your inbox anyway, you figure you’ll just get back to the emails that are left when you have time later in the day. If you pop in to check email dozens of times a day, without processing the email that is there, your inbox will almost always be overflowing with unread emails, each one calling for your attention. To overcome this tendency, when planning your day, decide on 3 or 4 different times that you will devote to your inbox, mark those times in your planner or calendar, and give yourself permission that, at those scheduled times, you are doing nothing else but processing your email. Take appropriate action on every single email in your inbox. You should make a decision about each email as you come to it. If there’s something you think you want to read, label it as such or move it to a read later folder. Knowing that later probably will never come, ask yourself if you really want to read that email and is it worth saving? If not, either go ahead and delete it or just read it now and get it over with. If you process email at certain times instead of just checking it throughout the day you will get a lot more done, you’ll have a nice clean inbox most of the time, and you won’t have the stress of seeing all those unread emails every time you go to your inbox. It’s also best if you leave your inbox closed when you are not processing it. If it’s open all the time, the temptation is far too great to just take a “quick check” which can often take you away from the more important tasks at hand. It’s like having an open box of cookies in your kitchen. Better to eliminate the temptation altogether than risk succumbing to the lure of the open box. Cheers to you for having a clean inbox!